Learn what we did in 2017. 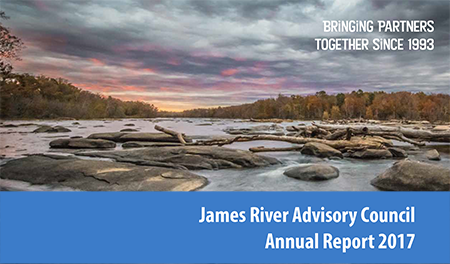 The Annual Report highlights JRAC’s accomplishments throughout the year, from the Stewards of the River to hosting the James River Week. Thanks to everyone who helped make it an outstanding year! We look forward to continued success in 2018.